With legions of dedicated fans, Harley-Davidson is the quintessential American brand – rugged, edgy, and a little rakish. Just listen to this engine rev and you’ll understand why so many people love their Harleys. While it would be easy for the brand to rest on its laurels, Harley-Davidson continues to innovate with new and updated products. Harley-Davidson will once again delight fans around the globe with the return of the Road Glide line of motorcycles. From the wicked new Dual Reflector Daymaker™ LED headlights to the combination stop/turn/taillights, the Road Glide motorcycles set out to make the ultimate statement in custom, high-mile aggression and back it up with all the function riders demand. Harley-Davidson will produce two models for 2015, Road Glide and Road Glide Special. Shaped by countless hours of wind tunnel testing, the new frame-mounted Road Glide motorcycle fairing features a triple splitstream vent that significantly reduces head buffeting while still providing comfortable airflow around the rider. A High Output Twin Cam 103™ V-Twin engine burbles through two chrome mufflers. Touring features include One-Touch hard saddlebags, cruise control, easy-to-read gauges, adjustable air-ride rear suspension and new ergonomic hand controls with intuitive design and improved tactile feel. 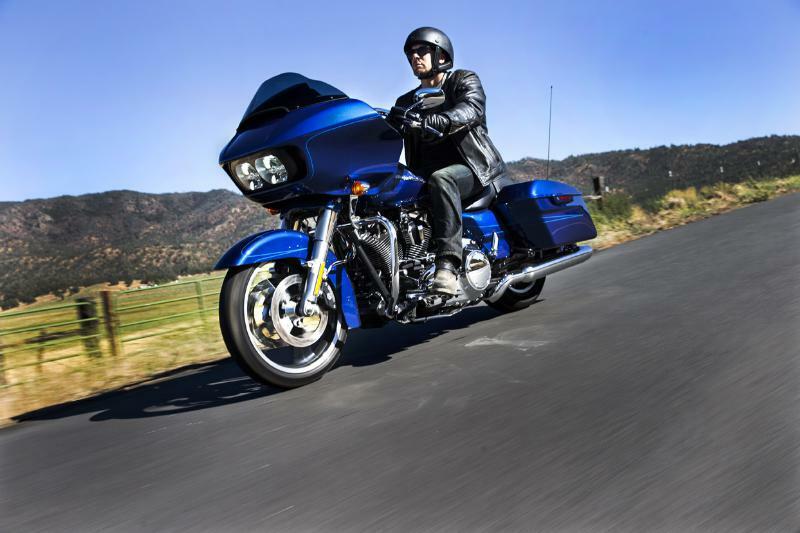 The Road Glide Special features premium enhancements such as the Boom! Box 6.5GT infotainment system with touch screen and GPS navigation, Reflex™ Linked Brakes with ABS, and hand-adjustable low-profile rear suspension. An exclusive painted inner fairing and hand-applied pinstriping give the bike an upgraded look. “The Road Glide has always been a bike for a rider who’s cut from a different cloth, a person who wants to make a statement as they chase the freedom of the road,” said Michael Goche, Product Planning Manager. The new 2015 Road Glide and Road Glide Special models start arriving at authorized Harley-Davidson dealerships on August 26, 2014.